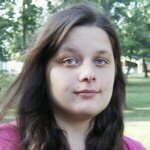 Heather R. Agee is a sophomore attending Berea College in Kentucky and will be graduating in May 2011 with a B.S. degree in Nursing. She is from Lexington, Kentucky. Agee is a Media Services Technician at the college, and a concession stand worker for Berea’s basketball games. She has also worked as a Math Teaching Assistant for developmental math classes. After graduation she plans to become a Pediatric Nurse Practitioner.